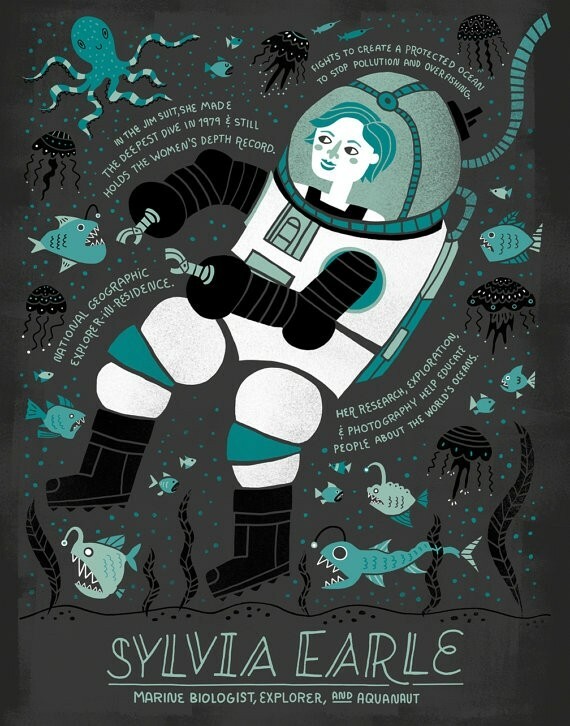 Pay tribute to the Sturgeon General Sylvia Earle: marine biologist, explorer, and aquanaut. She was a National Geographic explorer-in-residence. In the JIM suit she made the deepest solo dive in 1979 and still holds the women’s depth record. Now she fights to create a protected ocean to stop pollution and overfishing with Mission Blue. 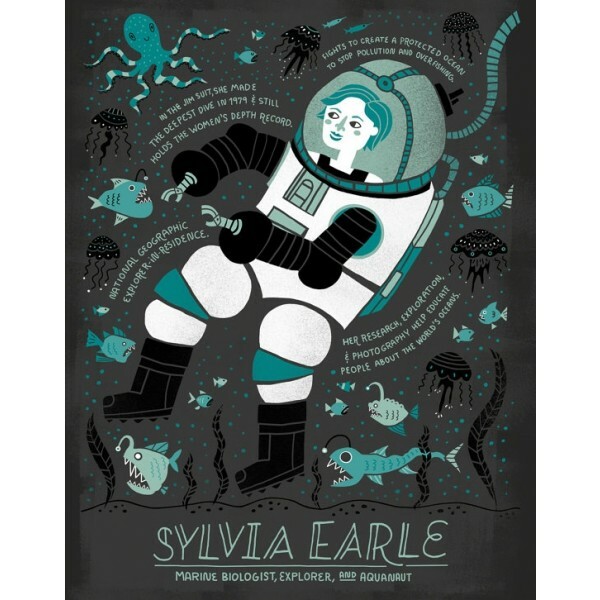 This poster is part of Women in Science series by artist Rachel Ignotofsky. It is available in 8X10 and 11X14 sizes and is printed with archival quality ink and paper.